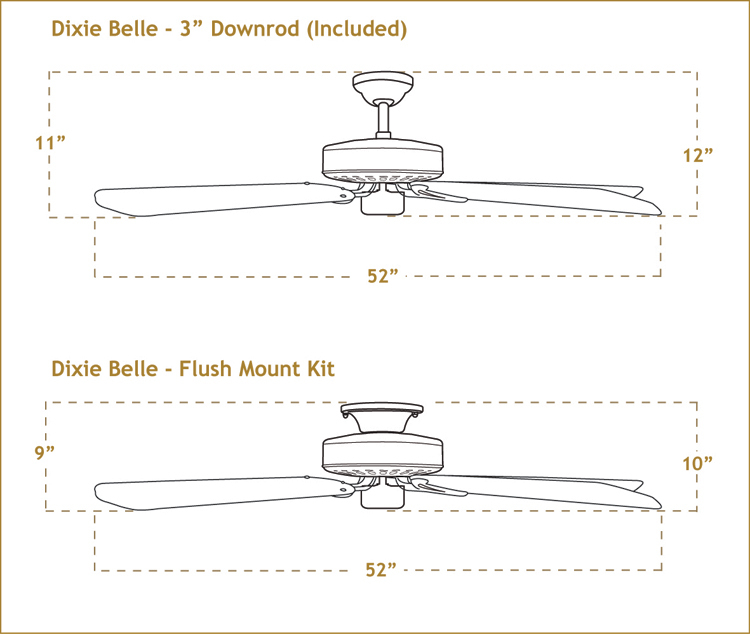 The Dixie Belle Ceiling Fan w/ 52" Unique Shaped Oar Blades adds a new look to a old friend. The Dixie Belle continues to be one of our best go to motors. Timeless, powerful and just about bullet-proof. These unique oar shaped blades give you even more design possibility with the venerable Dixie Belle motor. There are 2 oar shaped blades made of real Bamboo in a Natural Bamboo finish and Dark Bamboo finish , or what the flooring industry might call caramelized. There are 3 more unique oar shaped blades to choose from. 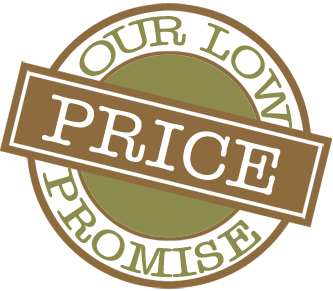 Available in Pure white Antique White and Aged Mahagany. And made of durable ABS non warp plastic The Dixie Belle is available in 10 finishes and as always really moves the air! 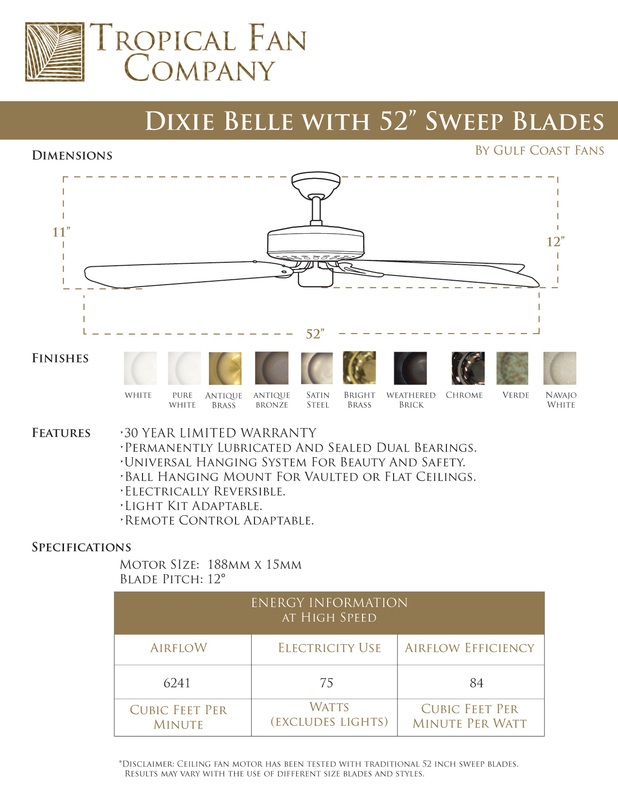 Design your Dixie Belle ceiling fan on your own of call us, we can help, we speak fluent ceiling fan. Unique Oar Shaped Non-warp blades.